Do you frequently experience red, irritated, or flaky eyelids? You may have an eye disorder known as blepharitis. 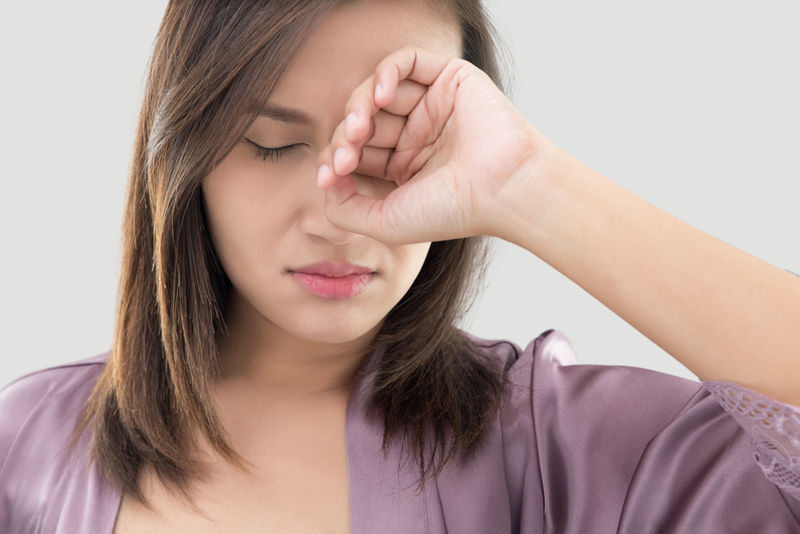 This common eye problem causes inflammation of the eyelids and can result in swollen, itchy, flaky, eyes and/or dry eye syndrome. 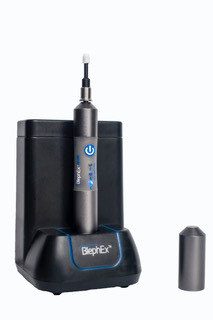 BlephEx™ is a new, in-office eye treatment that is proven to provide long-lasting relief from blepharitis and dry eye. The procedure safely and precisely removes debris from along the edge of your lashes, exfoliates your eyelids, and immediately improves uncomfortable symptoms. Blepharitis is a common inflammatory condition of the eyelids. It’s caused by an overgrowth of bacteria that lives on the edge of the lid and base of the eyelashes. Anyone can develop blepharitis, but since our tears contain fewer antibodies as we get older, risk increases with age. Anterior blepharitis develops at the outside front edge of the eyelid, where the eyelashes grow. Posterior blepharitis occurs along the inner edge of the eyelid that makes contact with the eyeball. The most common signs of blepharitis include a gritty or burning sensation, excessive tears, itching, dry and/or irritated eyes, red eyes and/or eyelids, and crusted eyelids. In most people, blepharitis causes only minor irritation, redness, and swelling of the eyelid. In some instances, however, it can lead to more severe symptoms such as blurred vision, corneal infections, or missing eyelashes. Additionally, blepharitis that is left untreated can lead to eye problems such as dry eye syndrome, recurrent ocular surface infections or inflammation, styes or chalazia, inward or outward turning of the eyelids (entropion/ectropian), excess eyelash growth (acquired distichiasis), or inward turning of the eyelashes (trichiasis). BlephEx™ is pain-free procedure which removes eyelid debris, and the bacteria that grow in this debris, caused by blepharitis. The patented BlephEx™ hand piece is used to carefully spin a medical grade micro-sponge along the edge of your eyelids at the base of your eyelashes and along the eyelid glands to remove debris and the bacteria which grows in the debris. The tool can be likened to a delicate, medical-grade, “electronic toothbrush” for your eyelids. In order to prevent bacteria from spreading between eyelids, a clean micro-sponge is used for each eye. The eyes are also washed thoroughly after the procedure is complete. BlephEx is performed in your physician’s office. The procedure is not painful. Blephex is completed in less than 10 minutes. Numbing drops are placed into your eyes prior to the procedure. Most patients experience a tickling sensation during treatment. After the procedure, your ophthalmologist will provide or review instructions on how to maintain clean eyelids at home. How long does BlephEx™ last? In general, most patients receive BlephEx™ treatments every 4-6 months. Regular hygiene and a consistent routine will help increase the length of time between each treatment. It’s important to note that BlephEx™ treatment is not meant to be a replacement for heat therapy, eyelid cleansing, or ocular lubricants, but should be used in combination with these blepharitis treatment options. If left untreated, debris and bacterial build-up from blepharitis can cause significant damage to the eyelid, tear glands, and eye surface. BlephEx™ is a safe, effective treatment that can help you avoid long-term inflammatory or infectious damage to your tear glands and prevent the chronic irritation and inflammation of the eyelid and eyes that can result. Am I candidate for BlephEx™? BlephEx™ treatments can only be performed on patients with a blepharitis diagnosis. If you consistently experience itchy, scratchy, or uncomfortable eyes, a foreign body sensation, excessive tearing, “filminess” in your vision, changing vision, poor contact lens comfort, crusting, redness, or inflammation, contact us to schedule an eye exam! Only a licensed eyecare professional can evaluate your eye symptoms and decide if BlephEx™ is right for you.